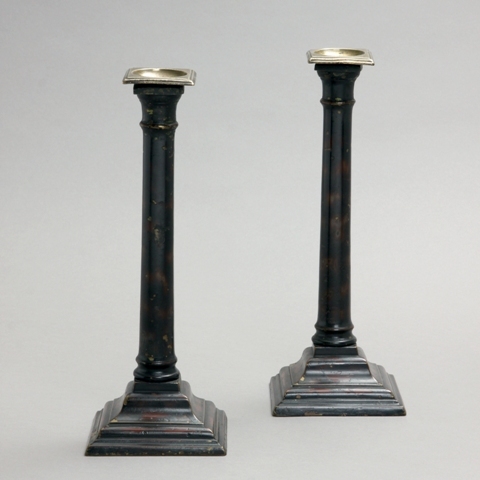 A rare pair of brass candlesticks with original japanned tortoise-shell decoration. In the first edition the candlesticks are in the ‘B.A.Williams’ collection and one candle stick still retains a hand written label “Mrs B A Williams”. In the second edition, the candle sticks are in the ‘Mr & Mrs Kenneth Morgan’ collection.